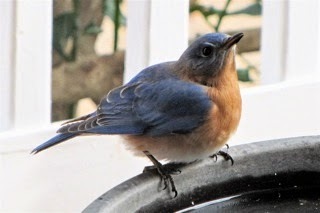 If you live in Florida you've already had bluebird babies to watch. If you don't, you can read this article with lots of photos and information on bluebirds. Bluebirds begin nesting earlier than most birds. We've had them nest here at Bluebird Cove, but lately it's grown even more woodsy and that's not the chosen nesting territory for bluebirds. They like flying out into open spaces. They are certainly a beauty to behold. Such pretty colors. 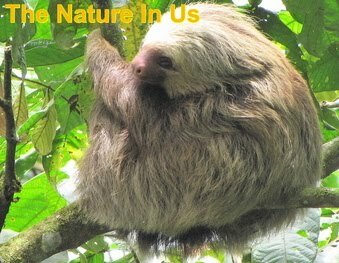 God makes everything beautiful! Copyright and Reprint Information - All photos remain the property of Donna L. Watkins, but may be used with proper credit and link back to the website, TheNatureInUs.com.